It struck me as both bleak and beautiful. Moreover it reminded me of the Yorkshire moors (like you see here) and thereby brought to mind all the Gothic tales of the Brontës. My genius web designer Maddee at xuni.com boosted the color and added my name. I love the final result, which you can see simply by scrolling to the top of this page. –my take: This book brought me to tears more than once, and my perception of the youngest Brontë is forever altered by reading it. –my take: A gorgeous tribute to the Brontës and the fictional worlds they created. Just for fun I’ve added a small Paperblanks journal decorated with Charlotte Brontë’s signature and lines from Jane Eyre. (These journals are no longer in production and are therefore pretty hard to find.) You’ll also receive a Brontë mug featuring Branwell’s drawing of the four siblings AND a volume of poems from all four Brontë siblings, along with a timeline and endnotes. This entry was posted in Reading, Writing and tagged books, Bronte, giveaway, reading on April 4, 2018 by SoniaG. TINY STITCHES by Gwendolyn Hooks — GIVEAWAY! There’s no doubt Vivien Thomas’ story is historically significant, but his journey toward developing a groundbreaking procedure for pediatric open-heart surgery is also dramatic and incredibly moving. Gwendolyn Hooks writes in a clear, engaging manner, and her words are enhanced by the watercolor paintings of illustrator Colin Bootman. TINY STITCHES, intended for readers 8 and up, would make a great addition to your home, school or church library. I am giving away one signed copy of TINY STITCHES to a lucky U.S. winner. (I’ll even throw in a signed copy of my own book, Ghostlight, to sweeten the pot.) Read more about TINY STITCHES below, and then enter the Rafflecopter giveaway! As Dr. Blalock’s research assistant, Vivien learned surgical techniques. In 1943, Vivien was asked to help Dr. Helen Taussig find a cure for children with a specific heart defect. After months of experimenting, Vivien developed a procedure that was used for the first successful open-heart surgery on a child. Afterward, Dr. Blalock and Dr. Taussig announced their innovative new surgical technique, the Blalock-Taussig shunt. Vivien s name did not appear in the report. Overcoming racism and resistance from his colleagues, Vivien ushered in a new era of medicine children s heart surgery. Tiny Stitches is the compelling story of this incredible pioneer in medicine. This entry was posted in Reading and tagged giveaway on June 21, 2016 by SoniaG. GHOSTLIGHT releases in exactly three months, so this seems a fine time to share the final jacket design! Giveaway ends May 14, 2015. I can’t wait to share this book with you! Please stay tuned for more updates, book trailer reveals, and additional GIVEAWAYS. 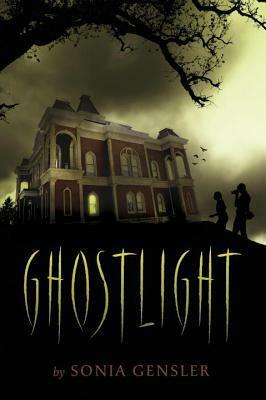 This entry was posted in Reading and tagged Ghostlight, giveaway on May 5, 2015 by SoniaG. It’s a fine day for a GIVEAWAY! Last fall when I was promoting The Dark Between, I was fortunate to hang out with a bunch of cool writers. Some of them even signed books for me to give away! Learn more about the books below, and note that I’m also offering an ARC of Grim, a short story anthology featuring modern takes on classic Grimm fairy tales (due out in hardcover at the end of February). I would be happy to sign my story, “Untethered,” which is based on the wee little Brothers Grimm story, The Shroud. It’s easy to enter through Punchtab — everything is explained below. However, if for some reason the widget isn’t appearing, please provide your name and email addy in a comment and I’ll enter for you. Heck, let’s make this giveaway INTERNATIONAL. This entry was posted in Reading and tagged giveaway on January 21, 2014 by SoniaG.